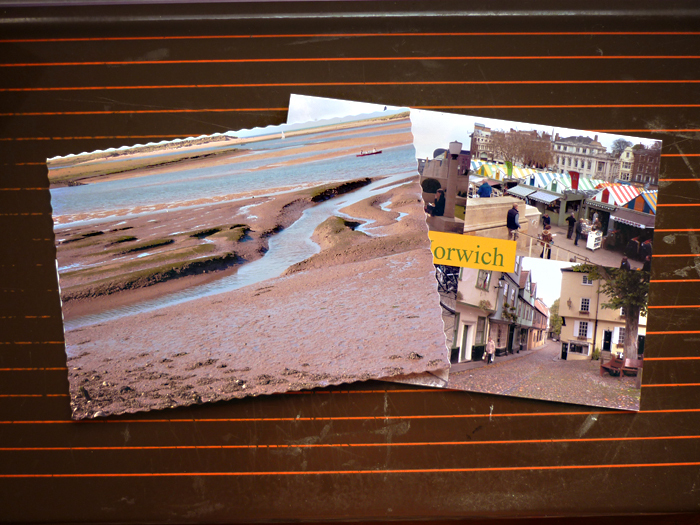 Postcrossing cards being posted today are a view of our coastline to Zhai in China and a Norwich card to Sylvia in Germany. 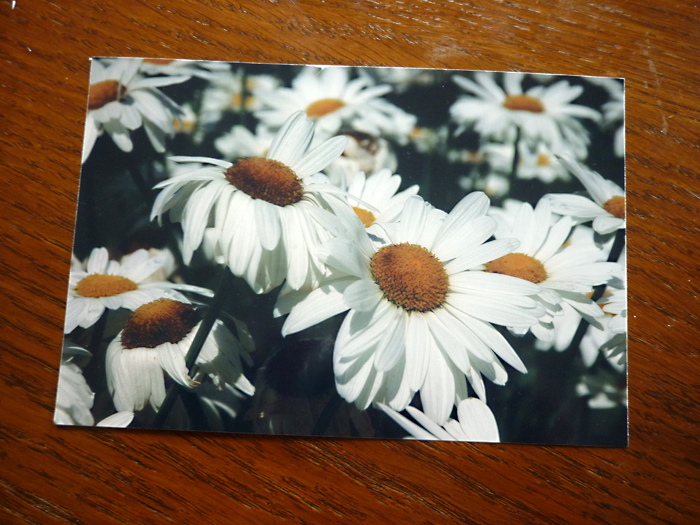 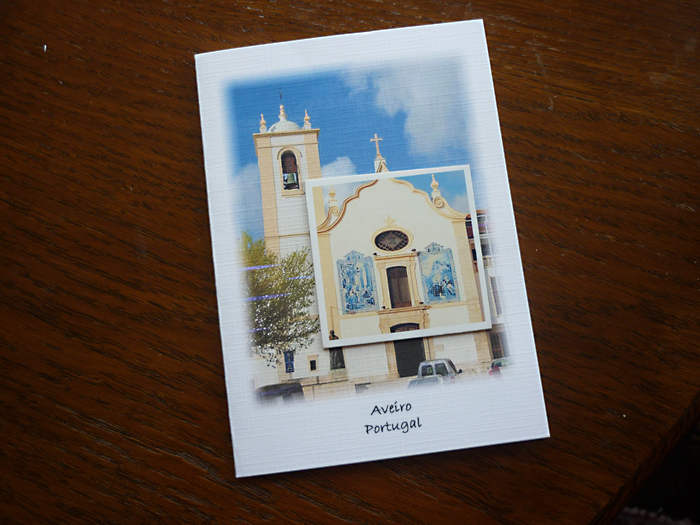 I’m sending an art card to my pen pal Catarina in Portugal, made with a photograph and Japanese paper. 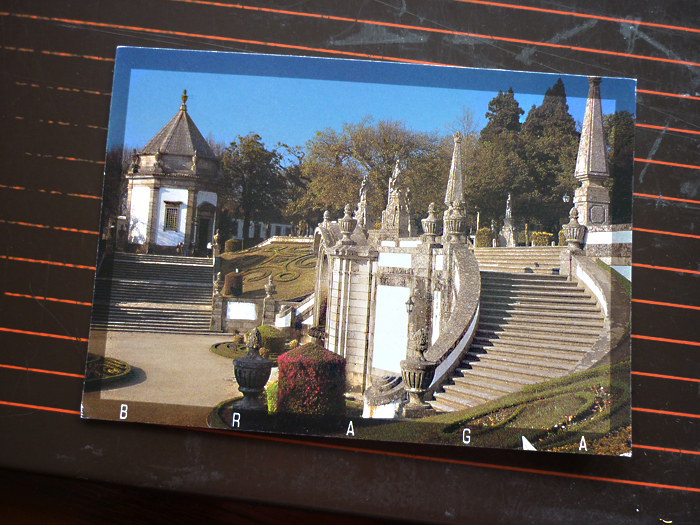 Also a postcard to my friend Nelleke in the Netherlands, which is a copy of a postcard I made using the cover of an old book with my own drawings added. 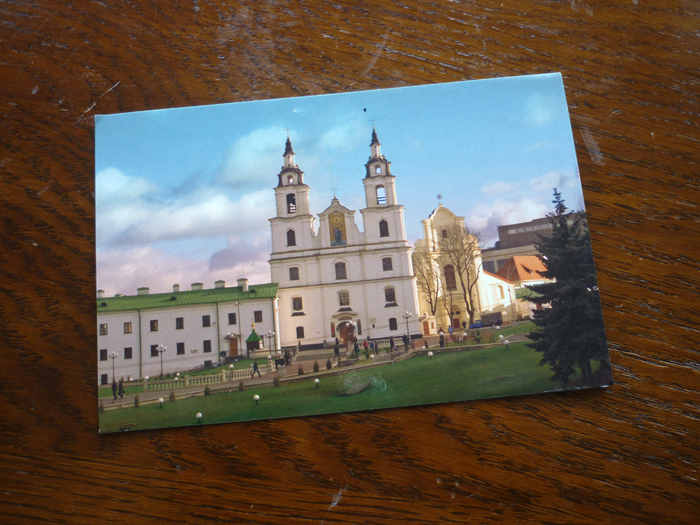 Hiatus – a pause in activity when nothing happens – well that’s exactly it, my mail is having a break. 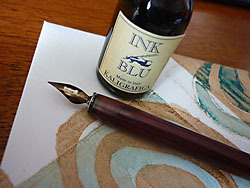 The last two weeks has been very quiet as far as my mail is concerned. 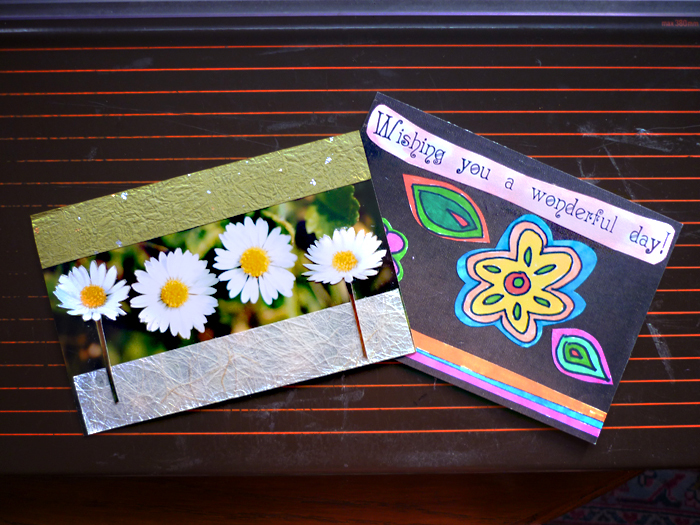 I’m a little sad ’cause I love going out to the mail box each day to see who I might have heard from, but I enjoy sending mail so much I’ve been concentating making some postcards to send out. 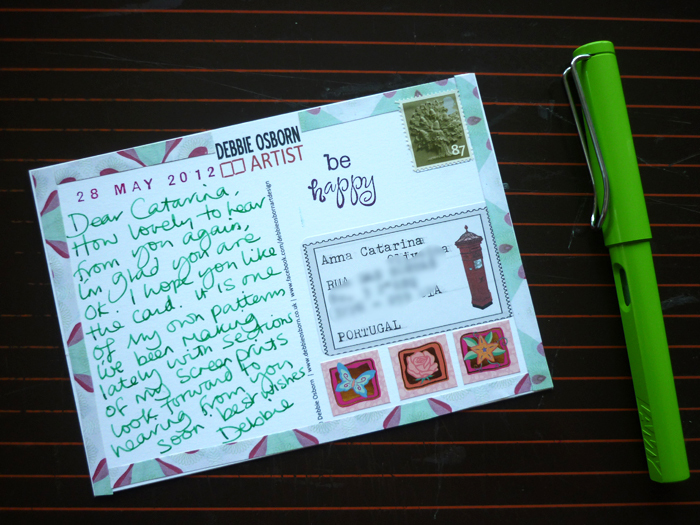 Oh my goodness, I’ve remembered to photograph my outgoing mail to show you! 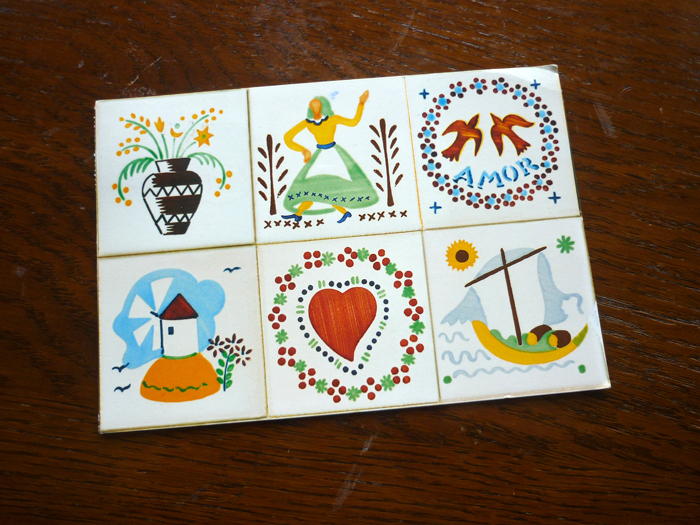 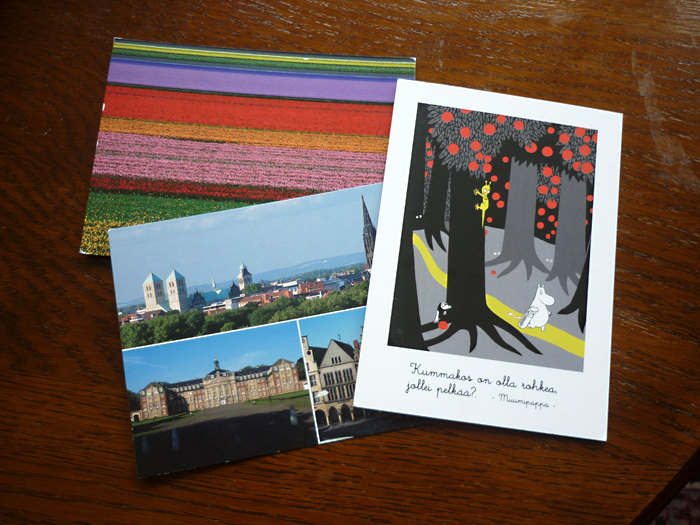 I’m sending postcrossing cards to Michelle in USA and Suzanna in Canada and a postcard to Catarina in Portugal. 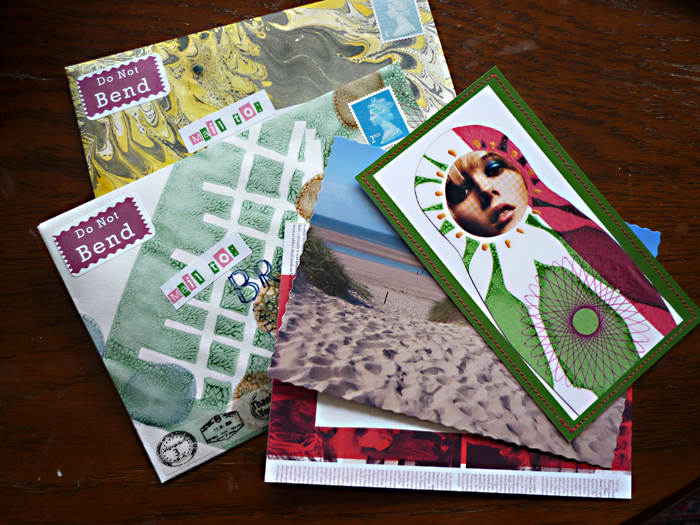 Also I’m sending out two lots of mailart, one to Brooke who lives in Norfolk and one to Emily in Northants. 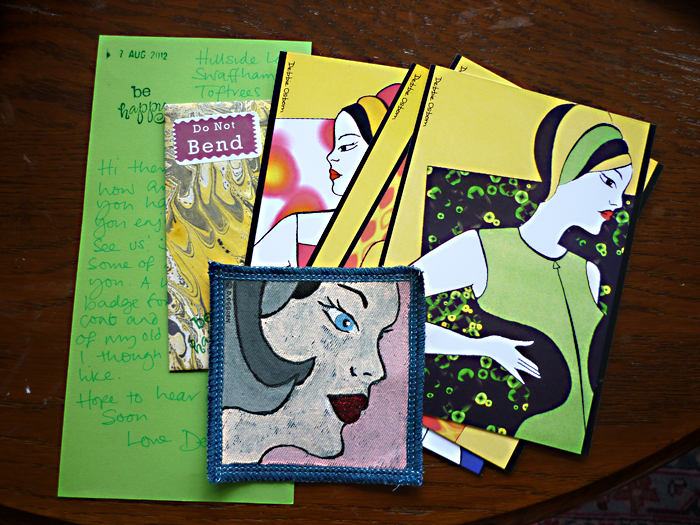 I’m sending Emily this package with some of my old fashion drawings made into postcards and a cloth badge for her jacket..
….and a lovely postcard from Lee in Latvia, using one of her own photos. 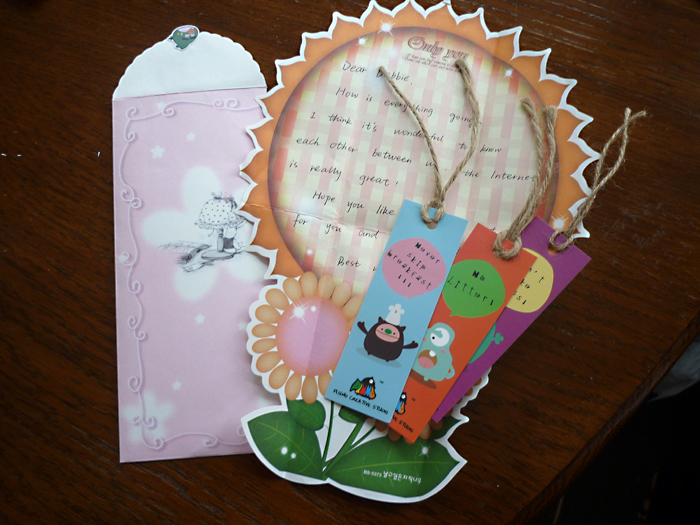 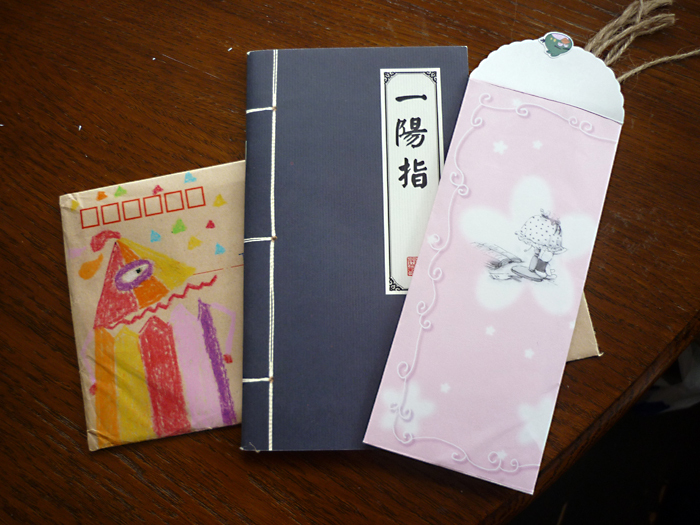 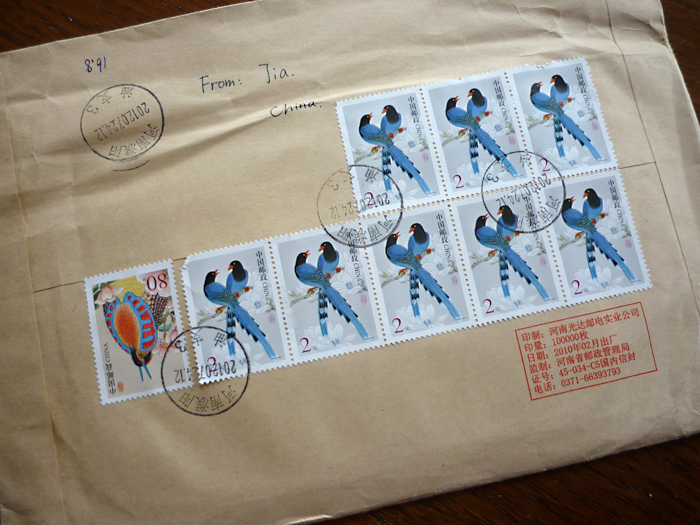 I also received some more mail art from Jia in China. 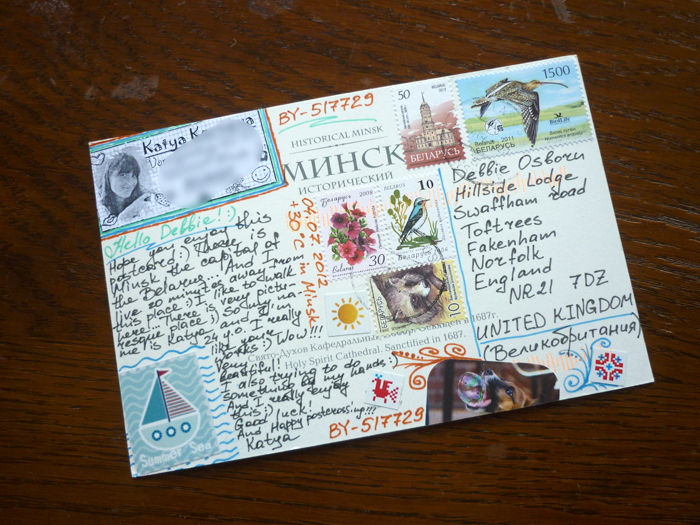 I’ve actually remembered to record my outgoing postcards this time! 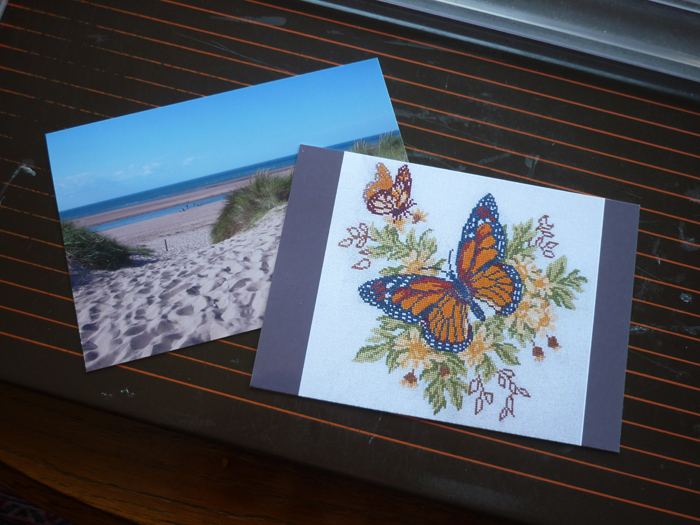 A lovely view of the sea for Julie in Taiwan and an image of a cross stitch I did a while ago for Marjan in the Netherlands as she likes cross stitch. 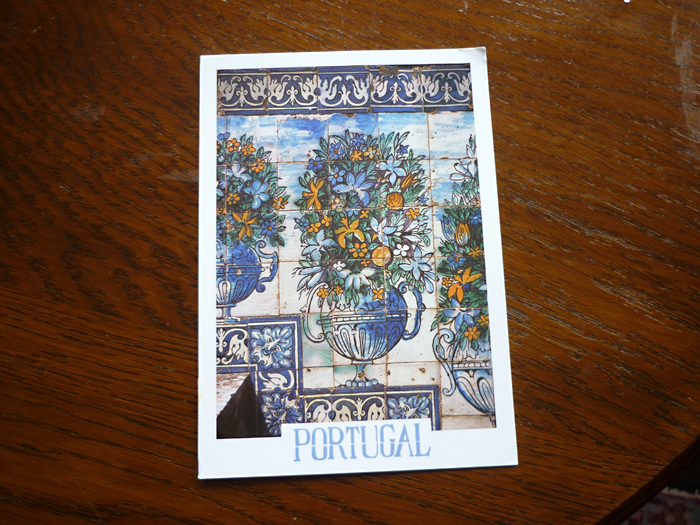 I’ve sent another card of one of my recent pattern designs to Catarina a friend I’ve made through postcrossing who lives in Portugal. 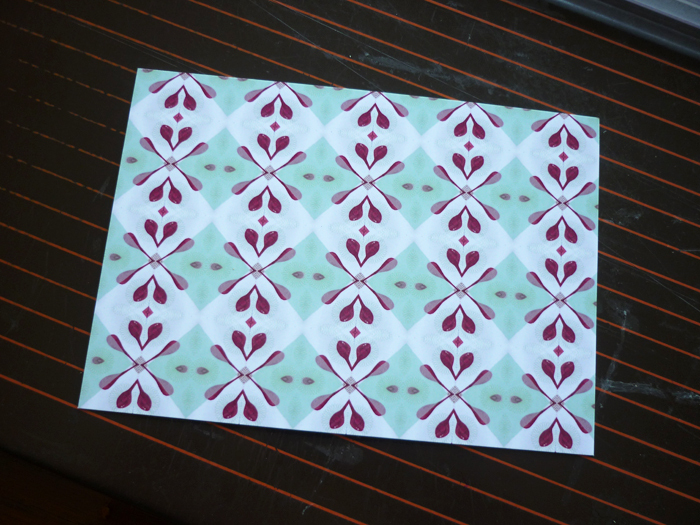 I do like to make the back pretty aswell as the front!